Can someone help me getting a wireless mouse? So I saw a post about mice and just came here, I think I can find Indian people here. I've been online for 2 hours searching for a mouse. I wanted a 6 button mouse. The logitech ones are expensive, there is no dell one or hp one. Dell wm314 is no longer manufactured and I want to buy a new one. 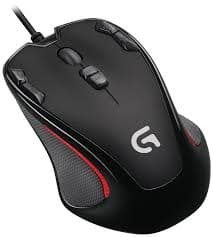 Can you suggest a mouse, 6D, wireless/wired? What budget range are you comfortable with for mouse? Around 1500, I think I could get a Microsoft 3500 but it's out of stock. I can't find anything in range. Looking at the reviews; it seems to be the perfect fit for your needs.